Tony Evans is one of America's most respected leaders in evangelical circles. He is a pastor, bestselling author, and frequent speaker at Bible conferences and seminars throughout the nation. He has served as the senior pastor of Oak Cliff Bible Fellowship in Dallas, TX, for over 35 years, witnessing its growth from ten people in 1976 to now over 9,000 congregants with 100 plus ministries. Dr. Evans also serves as president of The Urban Alternative, a national ministry that seeks to bring about spiritual renewal in America through the church. His daily radio broadcast, The Alternative with Dr. Tony Evans, can be heard on more than 400 radio outlets throughout the United States and in more than 40 countries. Dr. Evans has authored over 50 books, including Oneness Embraced, The Kingdom Agenda, Marriage Matters, and Victory in Spiritual Warfare. He has served as chaplain for the NFL's Dallas Cowboys, and continues to serve as chaplain for the NBA's Dallas Mavericks, a ministry he has done for over 30 years. Through his local church and national ministry, Dr. Evans has set in motion a Kingdom Agenda philosophy of ministry that teaches God's rule over every area of life as demonstrated through the individual, family, church, and society. 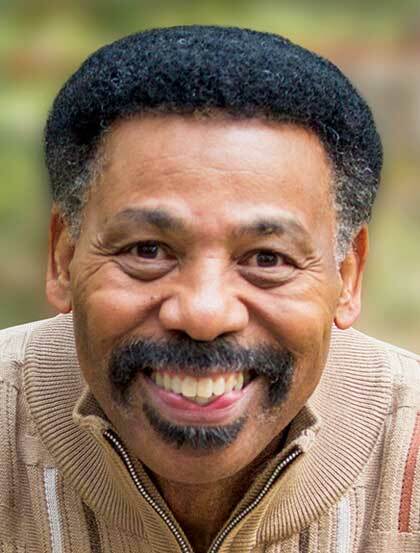 Dr. Tony Evans is married to Lois, his wife and ministry partner of 41 years. They are the proud parents of four: Chrystal, Priscilla, Anthony Jr., and Jonathan; and the proud grandparents of ten: Kariss, Jessica, Jackson, Jesse Jr., Jerry Jr., Kanaan, Jude, Joel, Kelsey, and Jonathan II. El Dr. Tony Evans es uno de los líderes más respetados del país dentro del círculo evangélico. Es pastor, autor exitoso, y orador frecuente en conferencias y seminarios a través de toda la nación. Por medio de su iglesia y su ministerio nacional, The Urban Alternative, el Dr. Evans ha iniciado una filosofía de ministerio, enseñando la voluntad de Dios sobre cada área de la vida del ser humano, en la familia, en la iglesia, y en la sociedad. Por más de 30 años ha ejercido el ministerio de ser el capellán de los Dallas Cowboys de la NFL y de los Dallas Mavericks de la NBA.